SmartContrast 10000000:1 for incredible rich black details You want the LCD flat display with the highest contrast and most vibrant images. Philips advanced video processing combined with unique extreme dimming and backlight boosting technology results in vibrant images. SmartContrast will increase the contrast with excellent blacklevel and accurate rendition of dark shades and colors. It gives a bright, lifelike picture with high contrast and vibrant colors. 16:9 Full HD display for best viewing experience The Full HD screen has the widescreen resolution of 1920 x 1080p. This is the highest resolution of HD sources for the best possible picture quality. It is fully future proof as it supports 1080p signals from all sources, including the most recent like Blu-ray and advanced HD game consoles. The signal processing is extensively upgraded to support this much higher signal quality and resolution. It produces brilliant flicker-free progressive scan pictures with superb brightness and colors. Energy Star is a US EPA sponsored energy efficiency program also adopted by many other countries. Energy Star certification ensures that you are buying a product which meets the latest power efficiency standards which operates with maximum power efficiency at all operational levels. 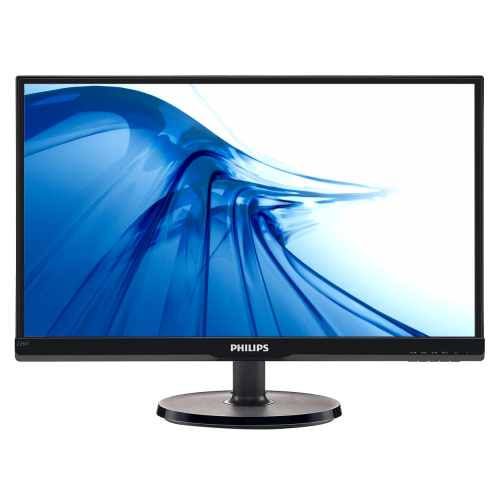 New Philips monitors are certified for Energy Star 5.0 specifications and meet or exceed the standard.